Should You Buy A Home In Your 20's? 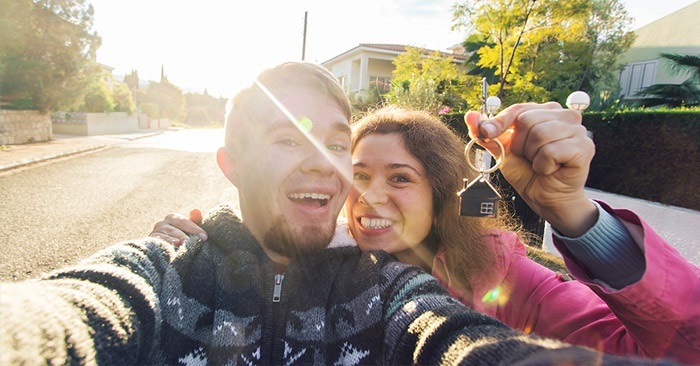 Should you buy a home in your 20s? Good question. There's no single, sure-fire answer to it. Okay, there is...if you consider "it depends" to be a solid answer. You can search the Internet and find as many reasons to buy a house in your 20s, as you can find to not buy a house in your 20s. But you have to consider the source of every article. (As I'm sure you do.) What's the author's motivation? All you're really doing is confusing yourself, or convincing yourself what you already want to believe. So, the better question is... Do you want to buy a house? Maybe ask yourself a couple of other questions. Do you feel too young to buy a house? Do you feel old enough to buy a house? They sound like the same question, just turned inside out. But they aren't really. Not if you really stop and think about them and how they relate to you. These are deeper questions not everyone in their 20s cares to ponder. And that in and of itself is probably a pretty good answer to the question. If you can't, won't, or don't want to think it through on a deeper level, then you probably aren't ready — whether you want to or not, you probably shouldn't. So, if you're the type that cares to ponder those questions, please do. We can move on when you're done. The words below will still be here in a few minutes. At some point, people stop wanting to "play house", and actually buy a house instead of renting or living at home. It never gets easier. At any given moment in time, the interest rates matter. Housing prices matter. The job market matters. One's lifestyle matters. Everything always matters. But everything is always relative. Sure, all of that dictates what you can purchase. However, first homes are rarely ever as awesome as someone hopes for. They're called "starter homes" for a reason. It's rare that a first-time buyer is buying their dream home. Buying your starter home, condo, or multi-family home earlier on, gives you a leg up amongst your peers. You get a head start. You'll be a step ahead in getting to your dream home. And maybe you'll even be able to keep the first home as a rental property. Obviously, if you want to buy a house, you'll want to do your research. It's easier now than it ever has been to find information online. But as misleading as the information out there is on whether you should even buy a house in your 20s, so is the information on the best way to approach it. Lots of people make mistakes when they buy houses. Not just first-time buyers. The Internet has certainly made a lot of information available. But it has not necessarily made everyone who looks at the information an expert in the process, or analyzing the options. It has simply made it easier to avoid dealing with the experts. Many people want to avoid dealing with real estate agents. There are good reasons for that; not all real estate agents are great. Some are pushy. Some will sell you on doing something. Some don't have any more clue than you do. But some are great. And that should be your first, and most important step in buying a house. A great real estate agent will essentially cost you the same to work with as one that's not so great. And, whatever agent you hire won't cost you a dime until and unless you buy a house. So you might as well choose the best one you can. Too many people don't make a deliberate decision on the real estate agent they hire. People tend to just stumble into working with a real estate agent they meet along the way who is "nice enough". I can't or won't say I am the best, or that I'm the right real estate agent for you. But I can say that I take pride in building trust with my clients and doing the best job possible. And I'd like a chance to show you that. I don't mean call me and let's run out and start looking at houses. I don't even mean give me your email address so I can spam the heck out of you forever. What I mean is this... Send me an email and I'll send you a short series of 9 emails (no more, no less) that'll help you decide if you should buy your first home, or not. n the least, you'll get further along the way to buying your first house, and perhaps we will build a trusting relationship. Or not. If we do, great. I hope to help you decide if you should even buy in your 20s or not. And if you do, I want to help you make the best purchase possible. And if we don't, I won't be bugging you or pushing you to buy a house beyond this series of emails. So what's the harm? Send me an email with the subject line, "Please send me your first-time buyer tips" and I'll send the first one over to you. (NOTE: It includes names and phone numbers I don't publish publicly, which is the reason for doing it via email.) You can find my email in the right column of this page (if on desktop) or down below (if on mobile). Hope to hear from you!